The super-sleek, ultra-sophisticated FlashCard allows people to easily slip their ThinOptics reading glasses into their pockets, wallets or purses. 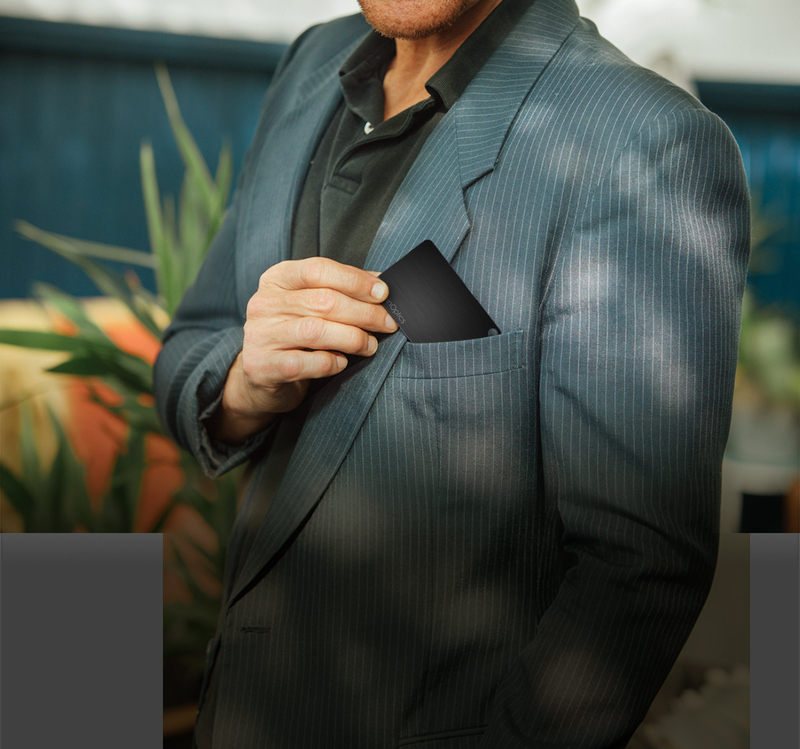 ThinOptics, creator of the revolutionary foldable reading glasses that are Always With You, today launched the ThinOptics FlashCard, the company’s most premium reading glasses case ever. With its sleek brushed-aluminum finish, the FlashCard gets noticed, despite its incredibly slim profile. As small as a credit card and only 4 mm thick, the FlashCard protects reading glasses from damage and scuffs, while easily fitting in a pocket, wallet or purse. ThinOptics reading glasses were introduced in 2014 by a passionate team of entrepreneurs who believed that people should be able to access their reading glasses wherever and whenever they need them. After more than 200 prototypes, the team proudly unveiled the reading glasses that are Always With You. 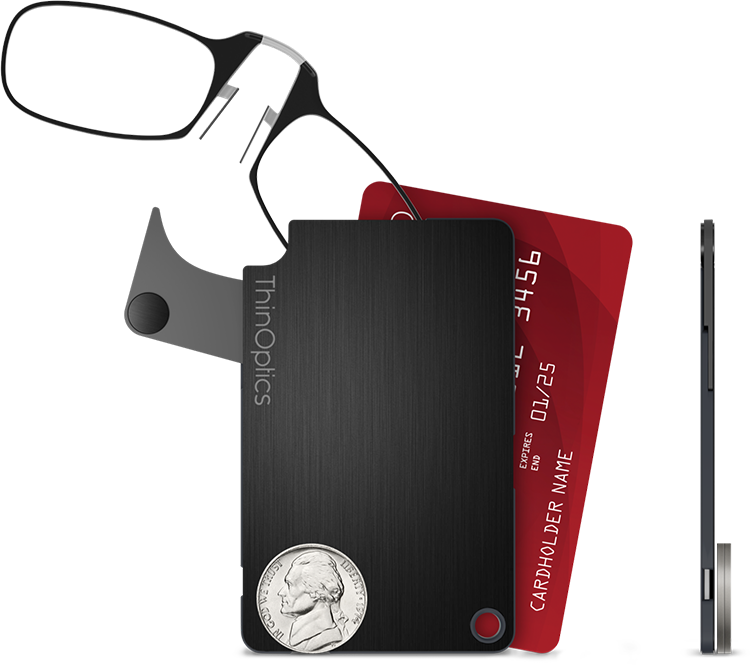 As slim as two credit cards, ThinOptics reading glasses weigh less than a nickel and can easily be transported in your pocket, wallet, purse, or even on your phone. ThinOptics reading glasses, which are available in four lens strengths, were named "Best in Class - Iconic Design" by Inc., "Best of CES 2015" by PCWorld, and have been featured on CBS News Sunday Morning, Yahoo Tech, Fox News, Real Simple, Refinery29 and more. Since 2014, ThinOptics has shipped more than 2 million pairs of its revolutionary reading glasses. FlashCardAs small as a credit card and only 4 mm thick, the FlashCard protects your reading glasses from damage and scuffs, while easily fitting in your pocket, wallet or purse.